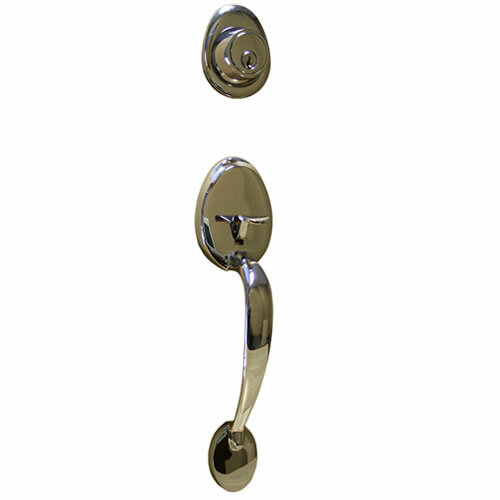 Our Sure-loc Alta Handle set is a great buy. Compare similar styles at up to $130 or more. 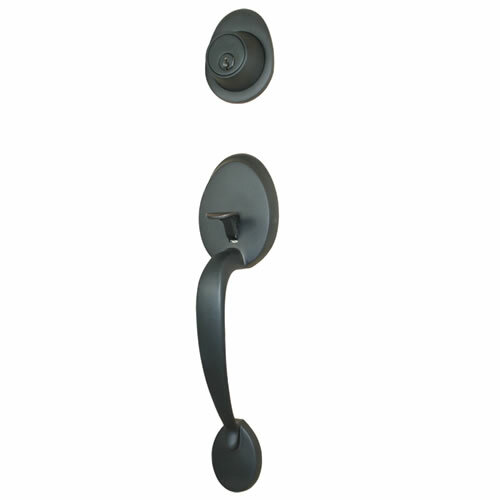 The Sure-Loc handle set is solid forged with several knob options and finishes to choose from (See product specs below). This handle set comes with a deadbolt for security. Professional installation is recommended for best results. For doors 1 3/8" - 1 3/4" thick. 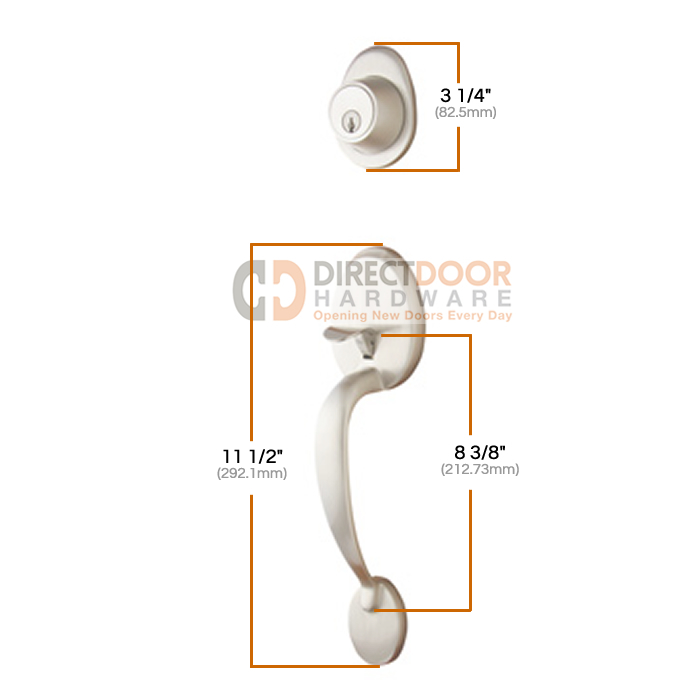 - Fits doors 1 3/8" - 1 3/4" thick. - 8 13/32 from center of bore hole to center of bottom mounting bolt. Love this set, but even better is Direct Door Hardware. I would recommend them to anyone.....they really are the best! We bought a house and needed to replace all of the entry door locks at once. We wanted something that looked great, wasn't easily re-keyable, and was affordable. 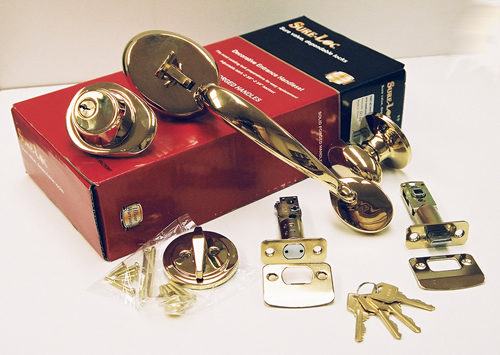 I was happy to find these Alta locks online when there was nothing available locally. 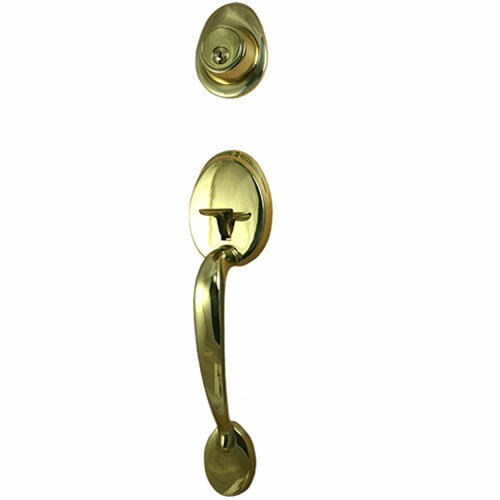 Although we are a bit disappointed with the weight of the handles, we are overall very satisified with these locks. I'd recommend them to anyone looking for an affordable and good looking lock. 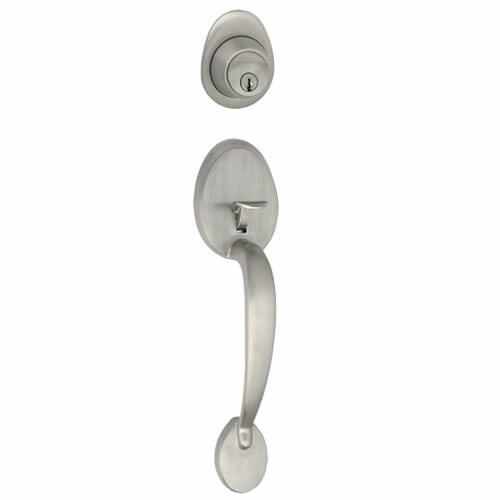 Compared with similar styled handles that are available in every big-box store these are considerably less money and much nicer quality. We had problems with the deadbolt, however our handyman stated that the problem was a misalignment with the door and frame caused by weather striping or the home settling over time. We adjusted the strike plate and everything now works great! I ordered 10 for the exterior doors so price was an issue. These were reasonably priced and looked nicer than big box store merchandise. I've had a problem now with two of the deadbolts. They have only been installed since October. I was sent a replacement for one that I requested (they are guaranteed), but I view this as an on going issue becuase it seems to be a design flaw. If you're handy I would buy them, if you have to pay someone to fix your locks, I'd find another product. 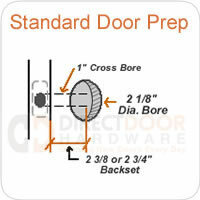 looks great on front door -- be careful with installation as holes on this handle were different than old door handle. Can you order the Latch assembly for this set. Mine has got to the point that it binds but everything else appears fine? I have double front doors. If I purchase the dummy will it have a key hole? I want a dummy with no key hole. Will this lockset work in a door with 2 1/8" bore hole and 1 5/8" bore hole for the deadbolt? 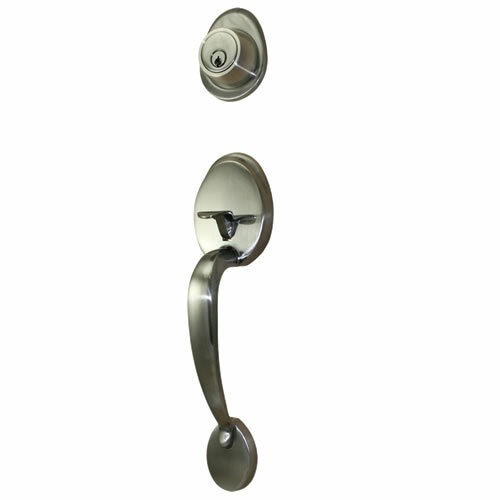 If not, what would you recommend of similar quality and price in satin nickel finish? Can you easily match the keys for all the locking doors in the house? If you are asking if we can key all locks on your order of this brand... yes there is no charge. Just include a comment in the box as you check out requesting this. If you are asking if we can key alike your existing locks... yes we can if they are schlage or kwikset keyways. There would be a 5 digit code on your keys. Again, no charge. Just include a comment in the box as you check out requesting this. 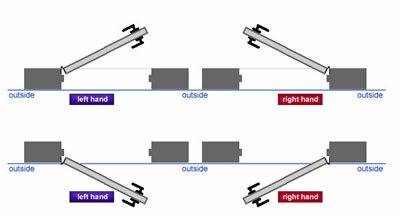 DO you ship to NSW Australia and the cost for 2 locks?